Steel and timber system rendering with cross-laminated timber (CLT) floor planks, steel beams and columns, and composite concrete topping slab. Mass-timber construction, a growing industry in the United States, includes elements such as glued-laminated timber (glulam), cross-laminated timber (CLT), and nail-laminated timber (NLT). These wooden elements have a natural resistance to fire through charring, similar to traditional heavy timber. The fire safety of mass-timber combined with high load-carrying capabilities has opened up the possibility of using mass-timber in high-rise buildings. Architectural firm Skidmore, Owings & Merrill LLP (SOM) has been studying the applicability of mass-timber in tall buildings since 2013. Their initial report, the Timber Tower Research Project, recommended timber-concrete composites as an effective way to support a high-rise building while reducing the embodied carbon footprint. This was followed by three more reports focusing on the floor system of high-rise, mass-timber buildings as it is typically the largest contributor to the structure’s cost and carbon footprint. 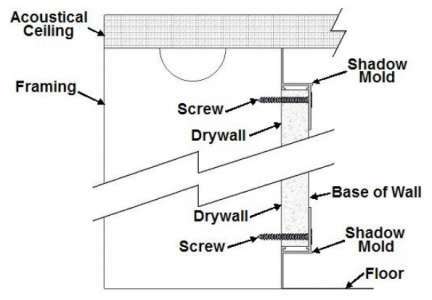 Buildings consists of many types of loadbearing elements, such as foundations, walls, columns, braces, girders, beams, and floor systems. Each of them has a specific purpose and unique demands controlling their design and construction. Floor systems are often governed by non-structural considerations but have a significant impact on the design of supporting structural elements. 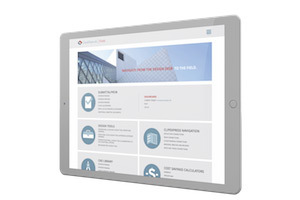 They usually contain concrete to control acoustics, resist fire, and conceal piping and conduits. The weight of these floors typically accounts for 60 to 80 percent of the total structural frame weight in reinforced concrete and structural steel buildings. Mass-timber floor systems can challenge these conventions due to the natural insulation of the wood material and relatively low density, just 20 to 25 percent of concrete. CLT floor planks are typically three to five plies of wood for economy. The thickness of these floor planks ranges from 105 to 175 mm (4 1/8 to 6 7/8 in.) and have a corresponding sound transmission class (STC) of 30 to 40, according to the US CLT Handbook. This level of acoustic separation is below the International Building Code (IBC) requirements of 50 for dwelling units. 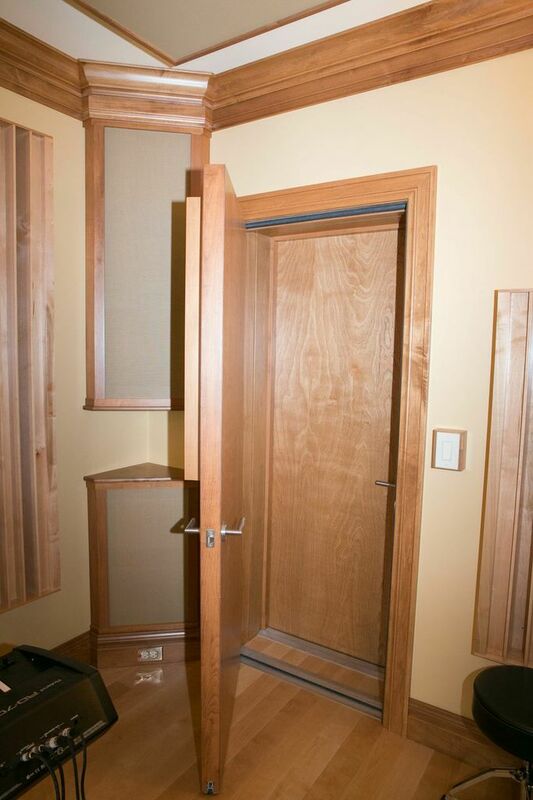 Therefore an acoustic treatment would be required. The most common method to improve the acoustic performance of CLT floors is to add a thin concrete topping slab of 50 to 75 mm (2 to 3 in.) over the timber. This can also improve the fire resistance of CLT floor planks and provide an opportunity to conceal piping and conduits within the topping. The European mass-timber construction industry has recognized the benefits of concrete topping slabs and developed connector systems to make the CLT and concrete topping slabs structurally composite. 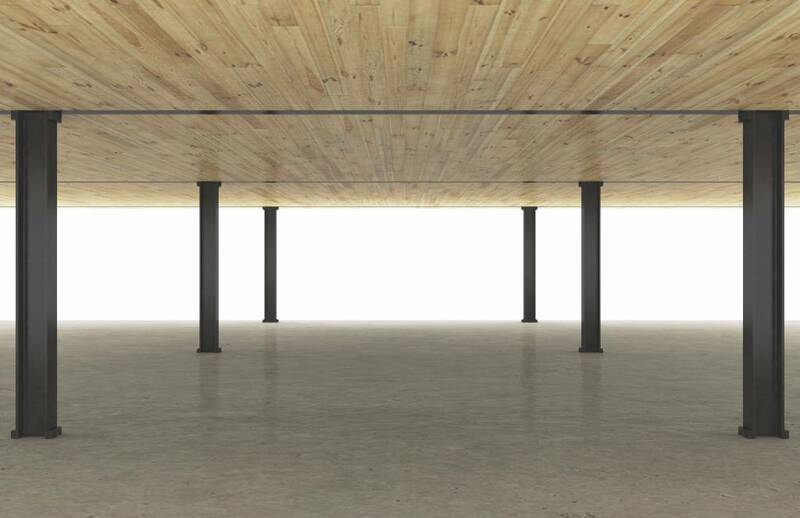 Timber-concrete composite floor systems are able to span further than conventional timber floor systems, thereby reducing the number of columns and bearing walls in a building and making it more competitive in the market. Full-scale testing of composite timber floor system at Oregon State University. Test at 800 percent service loads. 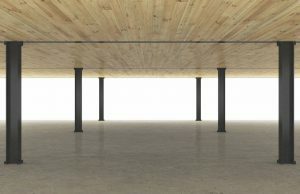 SOM has explored the use of timber-concrete composite floors with two recently-released reports. The first report documents a physical testing program of timber-concrete composite floor systems at the Oregon State University (OSU), with funding provided by the Softwood Lumber Board. The second explores the combination of timber-concrete composite floors and a structural steel frame for multifamily construction with the American Institute of Steel Construction (AISC). Both reports are available at www.som.com/ideas/research. The testing program at OSU investigated key structural behaviors of timber-concrete floor systems which would be required for the design of such systems. The testing program was based on the structural layouts of a “model structure,” an 11-story building with a rectangular floor plate and two isolated structural cores. The typical column bay of the model building was 6 x 7.3 m (20 x 24 ft). The proposed floor structure for this column layout is a 225-mm (9-in.) thick composite CLT floor spanning between 1-m (3.2-ft) wide x 225-mm thick composite CLT band beams on column lines. 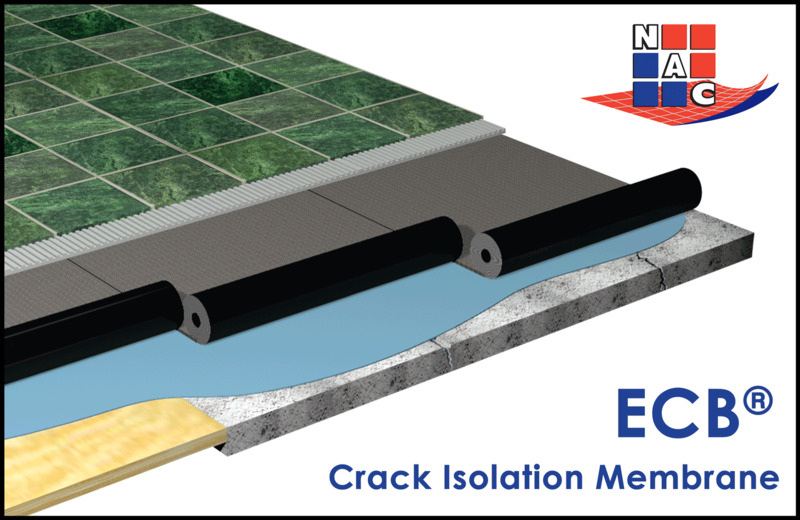 The floor system is designed to be a “continuous beam” over the band beam supports that require both positive- and negative-bending resistance (reinforced concrete slab in compression and tension). This design approach further improves the system’s spanning capability and competitiveness. However, the approach is uncommon for timber-concrete composites and necessitates the physical testing program. The testing program at OSU was completed in 2016 and consisted of 20 individual tests (four types), performed on 14 full-scale specimens. 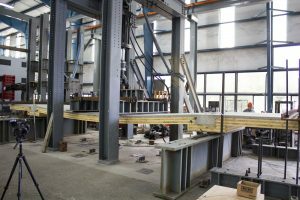 The behaviors studied included composite connector effectiveness, two-way bending stiffness, long-term creep deflections, and a full-scale “mockup” test of the floor system spanning between composite band beams. The results of the composite connector tests showed a variety of performance with epoxied connectors performing better than mechanical connectors. The results of the connector tests were compared against the forecast and found to be well-predicted with established methods. The two-way bending stiffness tests showed the performance varied between strong- and weak-axis bending, as well as positive and negative bending as predicted. The long-term creep deflection testing showed increases in deflections consistent with current recommendations in both the American Concrete Institute (ACI) and US CLT Handbook. The full-scale “mockup” test showed the floor system could support approximately eight times the load required by code for design. The excess strength of the floor system is not required for design as the system would be governed by deflections and vibrations instead of strength. However, the excess strength of the system is useful for the fire resistance of the system, which can tolerate significant section losses due to charring before load-carrying capabilities are lost. Fire testing of the system will be the next focus of the mass-timber research at SOM. Timber-concrete floor systems have applicability beyond mass-timber-framed buildings. SOM’s joint research project with AISC, which was completed in 2017, investigated timber-concrete composite floor systems with structural steel framing for high-rise residential buildings. The research focused on residential buildings typically constructed with reinforced concrete that could benefit from a lightweight and prefabricated system of steel and timber. The research project was conducted by first selecting a benchmark building framed in reinforced concrete for comparison. The selected building was an SOM-designed, 11-story reinforced concrete building on the West Coast. It has a 200-mm (8-in.) thick post-tensioned flat plate floor structure—a standard approach for the current high-rise residential market. The solution developed by SOM and AISC consisted of timber-concrete composite floor planks supported by asymmetric steel beams. The asymmetric steel beams have a wider bottom flange supporting the ends of the CLT planks. The depth of the steel beams was designed to be encased within the thickness of the composite timber floor planks. This results in a floor structure similar to a concrete flat plate but does not have downward projecting beams. The design of the steel beams and their connections to the columns required careful consideration to control deflections and vibrations of the floor structure. 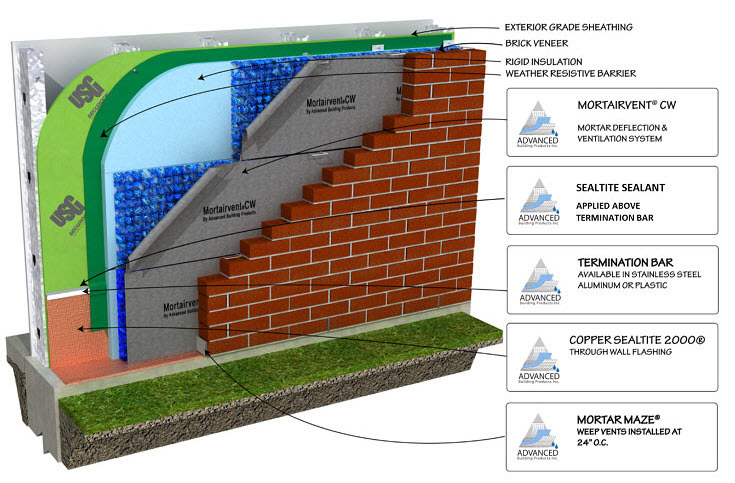 The resulting material quantities estimated from the study were reported and compared to the benchmark building. It was found the proposed system is able to achieve marketable column bays and a similar structural slab thickness as a concrete-framed building. Further verification of the system is required but initial findings are promising and show the system could compete in the market. Timber-concrete composite floor systems represent a new technology within the United States. The floor system has a unique combination of low weight, spanning capability, and sustainability. 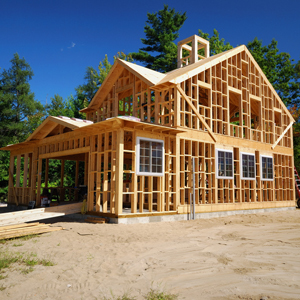 The floor system can be combined with other framing systems as needed for overall performance. Further testing and precedent projects are needed to form the basis for future code provisions which would govern the design of timber-concrete composite floors. 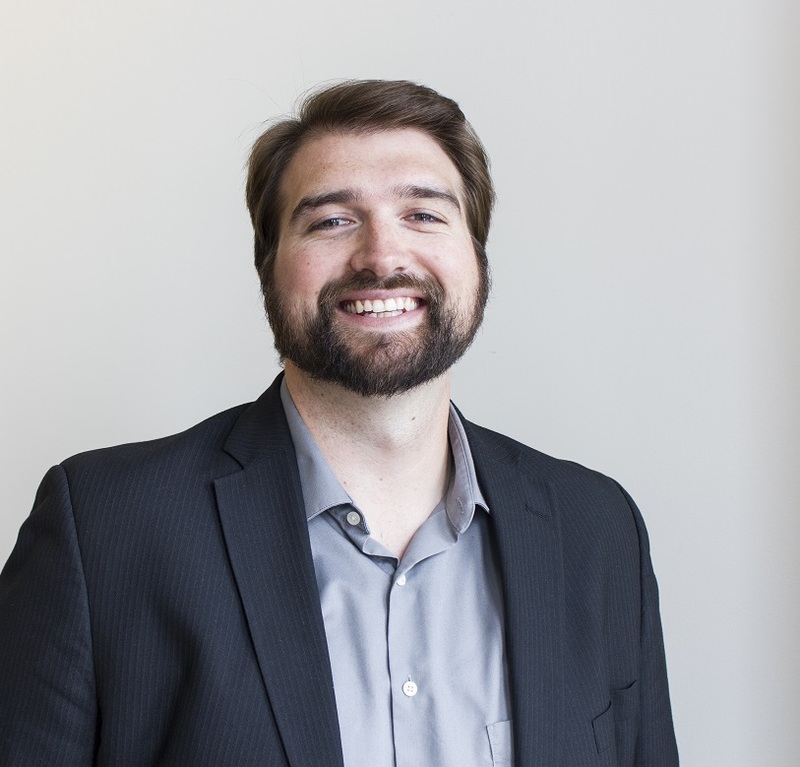 Benton Johnson is a senior structural engineer with Skidmore, Owings & Merrill LLP. He has been with SOM for more than 10 years and has worked on a range of domestic and international projects, including super-tall buildings, mixed-use developments, convention centers, and hospitals. Johnson’s work also includes research projects such as the Timber Tower Research Project. He can be reached at benton.johnson@som.com.